Dr. Lawrence Ian Reed is a visiting assistant professor in Skidmore College’s psychology department. His research interests include evolutionary psychology, emotion, facial expression, and personality disorders. He earned his PhD from the University of Pittsburgh in 2010. Visit his website at www.LawrenceIanReed.com. Dr. Yoel Stuart is a post-doctoral researcher in the Department of Integrative Biology at The University of Texas at Austin. He received his Ph.D. from Harvard University. Stuart’s research explores ecology and evolution, including how the two interact over time. Many species today cope with dramatic changes in their environment brought about by climate change, habitat destruction and the introduction of invasive species. In response to ecological changes such as these, Stuart examines the role of rapid evolution. Timothy Mousseau is a Professor of Biological Sciences at the University of South Carolina (USC). Former positions include Associate Vice President for Research and Dean of the Graduate School at USC, and Program Officer for Population Biology at the US National Science Foundation. He recently served on the National Academy of Science committee to examine the incidence of cancer near nuclear power plants. He is a Fellow of the American Association for the Advancement of Science, a Fellow National of the Explorers Club, and an elected member of the Cosmos Club (Washington, DC). His research is concerned with the ecology and evolution of animals and plants with a special interest in how adaptations to changing environments evolve in natural populations and the evolution of adaptive maternal effects. Since 2000 he and his colleagues have studied the impacts of radioactive fallout from the Chernobyl disaster on natural populations of birds, insects, plants and microbes, with more than 60 scientific publications on this topic since 2005. More recently, he has traveled to Fukushima, Japan, to study the impacts of the high radiation levels found in this region. His research combines field ecological surveys with advanced laboratory technologies including genomics, cytogenetics, quantitative genetics, radio-telemetry, and advanced statistical methods to discover and understand the mechanisms underlying variation among individuals and populations in their sensitivity to radioactive contaminants. One aim of his research is to determine whether or not organisms canadapt to radioactive environments. Dr. Dennis Wolan received his Ph.D. from The Scripps Research Institute in X-ray crystallography and performed his postdoctoral research at the University of California, San Francisco in small molecule discovery and design. Since his return to The Scripps Research Institute, Dr. Wolan’s research has focused on understanding the roles that commensal microbiome bacterial proteins play in human health and disease, and to apply this knowledge towards the development of innovative antimicrobial chemical and biological therapies. If you missed a segment this week, it's time to catch up! 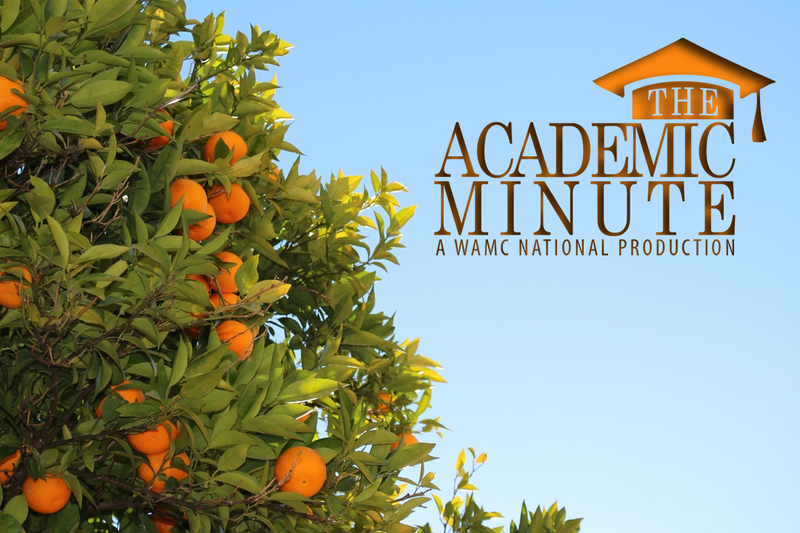 Visit AcademicMinute.org for all the great research. Last week, we took a look back at some of the top segments featured over the last year.